Here we are, folks! We've made it to the end of yet another week. It's been a busy one, what with all the Pokémon goodness and the Resident Evil pricing shenanigans, but now it's time to sit back and chat about which games we'll be playing over the next couple of days. As ever, we've left our entries down below, and we'd love for you to get involved via the poll and comments sections. Enjoy! After digging out my old Game Boy Color last weekend, I’ll be going retro with the turquoise beauty. 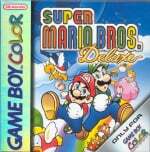 My library is very lean, but I’ll probably blast through Super Mario Bros. Deluxe; I remember being in awe of the calendar that told you the actual day of the week of any date – past or future – that you cared to look up. Yes, all you internet kids will never understand! I recall looking up my hypothetical 100th birthday. Think it was a Tuesday. 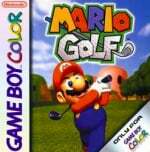 I’ll also fire up Mario Golf and wish that Nintendo went back to its brilliant RPG-lite style with a modern golf game. 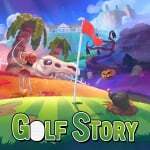 I didn’t get around to Golf Story on Switch – perhaps I should give that a whirl, too. I've actually finally got around to playing a PS4 game I've been meaning to get stuck into a for a while now (it rhymes with Todd of Floor) so I'll likely be playing that in every waking hour of the day as I'm pretty hooked. 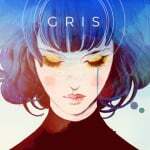 I did manage to play through the ever-so-wonderful GRIS on Switch during a break recently, however, so I'm going to gush about that instead. It had been sitting on my Switch for a good month or two, just waiting to be played, and I'm incredibly glad I finally got around to it. Sometimes, taking a step back and playing something with moderate challenge and simply beautiful aesthetics is just what is needed, and everything about the game suited that vibe perfectly. I'd definitely recommend giving it a go if you haven't tried it already. As most people who read my work will know, I continue to have an unhealthy obsession with shooters. That's why I'm still playing Modern Combat Blackout's janky but just about serviceable multiplayer. I just need to scratch that FPS itch. On top of that I'll be getting my funk on in Toejam & Earl: Back in the Groove and battling waves of bothersome monsters in Hell Warders. I'm going to wear my Switch out at this rate! Only three Donkey Kong-related spirits left to capture in Super Smash Bros. Ultimate. THREE. But it’s too bad I’m struggling to acquire them. Nevertheless, as an enormous Donkey Kong Country fan, I remain dedicated to the objective. So, this weekend, I aim to make some sort of progress – ANY progress. Even one new DK spirit would be enough to consider the effort an accomplishment. If only I could put down the Xbox One controller and take a 'brake' from Trials Rising... That, I anticipate, will be the real challenge. The Switch is two years old tomorrow!? Where does time go? Obviously it goes into playing games in it! 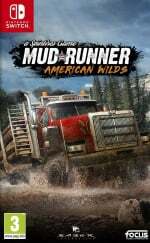 To celebrate this occasion I will take a plunge into my retail pile of shame and play my latest six acquisitions: BlazBlue CentralFiction, Spintires: MudRunner – American Wilds Edition, Riot - Civil Unrest, Aragami: Shadow Edition, Trials Rising and Rad Rodgers Radical Edition. On the more traditional side, expect me to fight it out during the ongoing ARMS Party Crash Bash, a spot of Super Smash Bros. Ultimate and a revisitation of Zelda: Breath of the Wild because… two years have past yet the game just refuses to let go. Oh, and I am still playing Modern Combat Blackout on a daily basis, so feel free to join up the Nintendo Life Squad. Road Redemption if it will stop crashing! Picked up Valkyria Chronicles for only 10€ and having a great time replaying it. I still have to transfer some good Pokemons from X to Sun / Ultra Moon. And tomorrow i will buy Pokemon Alpha Sapphire. I decide to not join in Party Crash event this week. I'll be playing some DOA6 and Smash U, right after I finally finish up Ni No Kuni after all these years. I have lots of Switch and PS4 games in my backlog (practically none on Xbox One which is that console's main problem) but I am currently obsessed with God of War and about to start my third playthrough. I initially wasn't interested but it received such good word of mouth I picked it up when on sale over Xmas. It deserved every Game of the Year award it received. Outstanding. Can I still download the Trials Rising Beta on Switch or was that just for before the release? 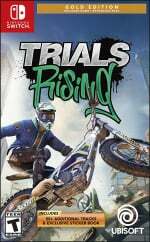 Still trying to get into Trials Rising the same way I got into Urban Trial Playground. But if I don't get hooked, I won't force it and will just go back to my NSMBU DX, Piczle Colors and SSBU routine. Oh, and Puzzle Bobble 2! Final Fantasy 9, Tetris 99, just really feeling the 9s. I recently started playing Xenoblade Chronicles 2, finally, since I have it since launch. And it is amazing, I am thoroughly hooked. So I will be playing that the coming month. I'm playing a great game, that's available right now, is free-to-play and is also region-free: Hide and seek with my kids. Some captain toad if I get the chance. More XB1 stuff as I've hit a roadblock with Switch (Reached a too difficult part of Wargroove so I'm waiting for the difficulty update and Starlink is starting to become too samey) though I may play some Fast RMX or Shovel Knight tomorrow to celebrate the Switch being 2 years old. I'm back into Diablo 3 so that'll get some time. I'll also put some time into Celeste and one or more Mega Man game. I may even have another try at Dead Cells. I have no idea why I insist on playing hard games when I'm no good at them though! I almost forget if tomorrow (3rd March 2019) it will be 2nd Anniversary of Nintendo Switch. I'm continuing Tales of Vesperia, and will probably sneak in some R-Type. 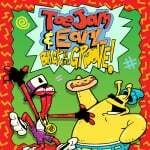 ToeJam and Earl Back in the Groove for me this weekend. Will see if I can be bothered playing anything else. Psychonauts it's not on Switch but it should be. Got it for a dollar on steam. Hoping the sequel comes to the perfect platform for it. This weekend is kind of up in the air, I'll try to play some Bloodborne but between work and my social life i'll likely not have time for much else. If I do it'll likely either be Smash, Pokemon or Wargroove I play. Wolfenstein 2 for me. I had no idea what to expect and it’s amazing. Glad I picked it up. Steam World dig 2 needs finishing soon. And I'm considering a new breath of the wild playthrough. Been playing the sith out of Sundered, trying to get all the endings. Getting the bad ending was (unsurprisingly) easy, as giving in to evil makes your time easier. Go figure. Steins;Gate Elite and Tetris 99. Starlink was half off on the eShop so I finally picked that up and I’m having a blast. Also been seeing a lot written about BotW in the last week to honor its two-year anniversary, so no doubt I’ll put in some hours dashing about Hyrule acting the hero. Happy gaming everyone! I've been going pixel crazy lately, so I'll be playing a combo of Final Fantasy (GBA VC version on 3DS), Pokémon Yellow (3DS VC), and ATOMIK: RunGunJumpGun. But seeing as it's a certain anniversary of a certain greatest adventure game of all time tomorrow, I'm going to try and sneak in some Breath of the Wild too. Arcade: A bunch of random titles including Cyberbot: Fullmetal Madness and probably some Street Fighter III: 3rd Strike. Haven't really had the chance to get an arcade stick for the Switch, so we're holding off on playing a bunch of the titles we want, like Blaster Master Zero. Fitness Boxing on Switch. I'm hooked and I'm fondly losing belly fat and becoming generally fitter, toned, energised, and happier due to this game. Oh yes I'll also warm up for workouts by playing rallies on Mario Tennis Aces. Gets me in the mood for exercise and warms up my body. Then, My Body Is Ready. Since people mention Xbox.. Over on Xbox I'll play me some TT Isle of Man and Forza Horizon 4. Best console bar none for realistic style racing games that are fun. Still got to progress on Shadow of the Tomb Raider and to start We Happy Few on the incredible wonderful Game Pass service, the best service bar none in gaming. 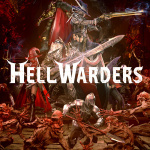 Remilore, Diablo 3 (didn’t realize the Monk was so fast, so now I’m back lol), FutureGrind, and Riddled Corpses EX. Bueno. Tetris 99 has its hooks in me, plus I’m finally playing Undertale, which is a genuinely hilarious game. Back on Switch I'll return to my addictions of Tetris 99 and Horizon Chase Turbo and inch forward in rankings! I also enjoy fighting games so I'll have a blast with the cheerful smile inducing Dragonball FighterZ. Finally, I love both drumming and smiling even more so I'll hit the wonderful and worth it drum controller on Taiko no Tatsujin. Trials Rising on Switch and Bowser's Inside Story on 3DS. Currently continuing playing LoTR: The Third Age. Also started playing Breath of the Wild. Inspired by commenters last week and the Oscar buzz for the Free Solo climbing documentary, I'm also catching Breath of the Wild's second (year) wind. Otherwise advising my girlfriend, who's caught the Civ 6 bug. @Fake-E-Lee Since you play both Diablo and Remilore, can I ask what you think of Remilore? 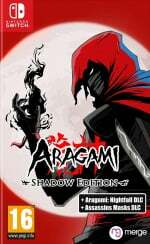 I have been thinking it would be a good fit for both me and my kids, but am I going to regret buying it instead of Diablo? I can only afford one at a time, and I doubt that Diablo will appeal to my kids. Will keep getting some stars in SMG (about 90 atm) and maybe will try DKCR. @JasmineDragon Diablo 3 is great but honestly...RemiLore is absolutely amazing and the combat is WAY more fluid and I can’t sing its praises enough. You will love it and so will your kiddos. After finishing the main story of Celeste (top three game for me!) I’ve embarked upon Monster Hunter Generations Ultimate , the lumbering leviathan of my watchlist. It’s a bit overwhelming for a newb, so I’m easing myself in. I’m strangely enjoying the fetch quests, getting a feel for the world before I embark on a proper hunt. While others are grinding G-Rank I’m genuinely stumped over where to find some mushrooms. I also finally picked up Starlink for £21 from the Eshop. I don’t need any more tat in my life so I’m glad I held off buying the physical starter kit when the price hit rock bottom. It’s a shame as I would have spent £40 on this game when it was released but £70 was really taking the proverbial. Also , Ape Out is fluttering its eyelashes at me but I’ll probably hold off for a bit. An article in the Grauniad about Fitness Boxing has got me looking at my big belly and wondering if it might help. Fitness games tend to be pretty faddish though. I’ll probably try and cut down on beer and pizza and spend the saved money on a proper game instead. I've sunk in 35 hours on Civ6. Still learning the ropes, but getting the hang of it. Feels good to be an expansionist despot trying to balance economies. Other than that, Down Well has been fun. @Balta666 is XC2 as fun the 2nd time as it was the 1st time? I'm with you, I'd LOVE Xenoblade X on my Switch! Recently picked up F-Zero: Maximum Velocity on my Wii U. Even better on the big screen. @Jayvir Same here. I'm playing Diablo 3 too and find it surprisingly fun. Unless you are coming over does it really matter? 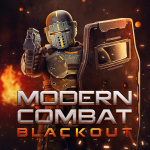 Modern Combat: Blackout making it into the picture of this post? Times may be hard for FPS fans on the Switch, but there has to be another game more worth your time. They should bring that one Dusk over from the PC. Low poly and is up there with Doom in terms of quality. My Switch is in transit from getting repaired by Nintendo, so I'm playing Splatoon 2 on my wife's Switch. Other than that, a little Halo: MCC on my X1. Quite the busy week in gaming for me. I finished shovel knight again, the delay of KoC had me jonesing to play. Just beat twilight princess hd last night and loved every bit of it, just dragged on the last few hours in my opinion. But now I'm playing metroid fusion, ssbu, deltarune, and last but certainly not least, bayonetta 2 for the first time. So much to play! Pokemon Red Version - I'm making my way to Viridian City to challenge for my Earth badge. The game I'm playing most isn't even on the list, which is odd because it's a $60 game that just came out. Monster Energy Motorcross 2. @TheFox Is it worth the price? I’ve been curious about it, but haven’t heard much. Rotating between Civilization 6, Final Fantasy 9 and Pokemon X.
Gonna finish up my pacifist run of Undertale on Switch (I'd previously left it on the "neutral" ending) before going through Deltarune. After that, I figure I'll settle into another playthrough of Final Fantasy Adventure, one of my favorite games on the Game Boy. This weekend I'll be playing DOA6 on the Xbox One X and Final Fantasy IX on the Switch. I’ll mainly be playing Deltarune chapter 1 & Smash Ultimate. I'm finishing the Platinum Trophy on The Bard's Tale for PS4 with some Skyrim on the Switch for some variety. I just woke up, but my weekend gaming forecast involves a 90% chance of 3DS play. I intend to finally start Bravely Second: End Layer in a little while after playing its enjoyable predecessor a couple years ago. I also neglected Detective Pikachu a little this past week due to IRL and trying to finish Sacred Stones, so I'll spend more time with Tim and his coffee-loving Pikachu. Two years later and I still haven’t beat BotW that I bought at launch. Maybe I should get around to that. Just platinum'd Spider-Man PS4. On my way to start the DLC. Love the game. I’m sampling favorites from my collection of pinball games and Nintendo handhelds. So far, I’ve played “Gator” on an original Game Boy; “Pokémon Pinball: Ruby and Sapphire” on a Game Boy Advance SP; and “Metroid Pinball” on a DSi XL. As soon as my flipper fingers recover, I’m going to power up the Switch and launch a ball in either “Family Guy” or “Aliens.” Lots of yucky weather on the way this weekend, so it’s a good time to be indoors and banging the bumpers! 1.) Smash Bros Ultimate (Switch) — What more do you expect from me? 2.) The Messenger (Switch) — Thanks @Balta666 for recommending it last week. I mulled it over and picked it up last night on sale, and I really love it so far! The humor, the music, the art, and the tight gameplay all really click with me. 3.) Yo-Kai Watch 3 (3DS) — It’s such an addicting and charming title. Don’t dismiss it just because it’s on the 3DS! It’s definitely worth your time! 4.) BOXBOY! (3DS) — BOXBOY! is such a relaxing little game so far. It’s perfect. 5.) Mario Tennis Aces (Switch) — I got my grandmother to play Swing Mode with me last night. We’re both pretty bad at it, and she wants to play again! 😂 She likes to play as Pauline! Additionally, I unlocked a costume for Chain Chomp and a costume for Shy Guy last night. Score! I’m loading up wargroove, swords and soldiers 2 and dead cells. I’ve not played anything other than Tetris99 since it came out. Still haven’t managed to win a game yet but prob won’t play anything else until I do! Wanting to have another go at dead cells now they’ve apparently made it easier. Been giving Smash Ultimate another go & still playing a bit of Paladins. Bought V.O.I.D. but not sure how much longer I'm going to force myself to play that. Splatoon 2 and Pokémon Ultra Sun. Alternating between Travis Strikes Again, Smash Bros. Ultimate and Nier Automata. Breath of the Wild DLC, Dark Souls and The Evil Within 2 are all on hold - too many great games and not enough time! Oh man. 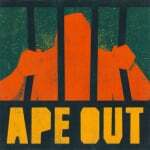 Ape Out. I can’t wait to get that game. Feels like it will scratch my Hot Line itch. This weekend I’ll be rocking hours of my never ending obsession with Ark. Can’t wait till they figure out how to get it running half decently on Switch. For now I’ll continue rocking it on my Xbox and PC. My Switch will continue to receive lots of Puyo Puyo Tetris time though I really only play in Tetris mode, love me some Tetris. 99 is the only battle royal I actually enjoy and the puzzle league on PPT sees the most of my online time on switch. Also been turning on the Daemon X Machina demo a lot lately, it’ll probably get some attention too. It’s soooo good! I can’t wait for the full release. Lastly I’m gonna put on some Nine Parchments and or Hammer Watch when we need some four player fun this weekend. I keep falling asleep playing Disgaea 5. It must be my age! I’m 10 hours in and I’m still not too sure what I’m doing. For the first time since the Switch is out: nothing! Just played X Morph Defense and there is no game at the moment for me that I'm interested in. Feels strange, but will be a great weekend though. @Lionyone I too am loving Game Pass. So happy Square has been so on board with it. Never got JC3 and now I can finally get into it. Sorry I know this is a Nintendo site and I love me Switch too. Just love seeing Game Pass comments because I’m really digging it. I was going to wait for the Switch version of Final Fantasy XII but seeing as I've had the Ps4 Special Edition sealed and unplayed for what seems like forever I ended up giving in and playing it.Absolutely Fantastic game!I played this years ago on the Ps2 but can't remember anything about it apart from the characters and the fact I spent more time doing the Hunts than anything else...and already those hunts have drawn me back in..
Valkyria Chronicles 4 and Asassins Creed Origins have also still got my attention..
A good amount of fighting games. Dead or Alive 6 will be the main game. Tekken 7, Jump Force all thrown in for PS4. I also bought One Piece Burning Blood since it was on sale. As for the Switch- SNK Heroines, Super Smash Bros Ultimate, and some Neo Geo games. For me it’ll be Kingdom Hearts 3 (need those trophies), Mario Tennis Aces (need those costumes) and whatever else I feel like playing lol. @Medic_alert lol I’ve been going through my physical game collection deciding what I’m really playing since I simply can’t play everything. Unfortunately my digital collection is getting crazy too.. Trials Rising, Black Ops 4 (Black Out Mode) and Fortnite. On my switch I'll be playing rocket league and octopath traveler. Ape Out you daddie-os. Then a quick blast at the #DiscoverIndies hashtag to see what else my fellow Nindie hepcats are playing ... followed by some Party Golf. After completely completing Valkyrie Chronicles 4 I still wanted more, so I got the first one (double dip at ten euro's is so very much worth it) again, on Switch this time, and it still stands head and shoulders above many other strategy games. Not being able to skip skirmish intro's feels weird now, but hey, I can wait a couple of seconds. I wouldn't play turn-based strategy games otherwise. Just finished Wargroove which was quite fun. Started my second walkthrough of FFX. I remember being quite annoyed by the cheesy characters and dialogue back in the day. Now I just find it so bad it's hilarious, so I'm having a good time so far. Also just started Banner Saga 2, which I hope will live up to its magnificent predecessor. Been playing more of Xenoblade Chronicles 2. Just beat a couple of rare monsters!!! Once I beat it I might get the Torna expansion one of these days. Having an internet outage this morning, I decided to play Sonic Colors on my DS. Forgot how fun the story in this game was. Now that the internet is back, maybe play some Tetris 99. Might play a third game, but not sure which one yet. Tetris 99. My massive backlog is going no-where as I’m currently hooked on this game. Probably Tetris 99 and some Super lucky's tale on xbox one. Lucky's tale didn't exactly review well, but got it on game pass and it's a pretty decent game imo. Kirby’s Adventure (NSO). I have never played it. I don’t play a lot of mobile games, but I have been meaning to try Dragalia Lost. Picked up Assassin’s Creed Odyssey since it was sale at GameStop. And I have some other Game Pass games to still finish like Observer and Arkham City. Well I've already played Let's Go Pikachuu and Pokken Tournament with my family today, if I get five minutes to myself later (which is unlikely) I'm actually going to give Golf Story a spin. I bought it a few months back, but I've been working through my pile of shame and its moment has finally arrived. ugh...busy doing tax paperwork and updating computer systems right now gaming isn't at the top of list and when I have time I can easy burn at least 4 hours on BoTW or Pokemon G0! or StarDew Valley(physical). Persona 5 on the PS4 and some smash on the switch. 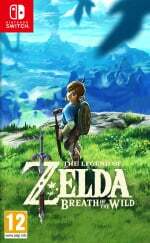 Maybe also taking a shot on a restart of BOTW. @Medic_alert Haha! I’ve been using the how long to beat site too- mainly for reviews since you get reviews cross platform. Luckily I don’t have that many hours. I’ve gotten much more selective in games I buy and try to keep them relatively short now but still they add up. @Mamabear the collector in me beats the sane person who knows we will never finish these games every time! I had a sudden breakthrough with Warframe and now that's all I've been playing for the past two weeks. What a spectacular game and it is FREE and the graphics are unbelievable awesome I still cannot believe this is on the Switch, such deep customization and tons upon tons of content and I could go on and on I just fell in love with this title. Dunno, does Spirit Board even count at this point? XD Then again, I have over 500 folks already, so it's bound to end someday. And I still keep forgetting to check if I can drag my Marth amiibo into the fray in Legend matches. Otherwise, I've been focusing on L.A. Noire (finishing it soon enough would free me the space for Nelke and FFXII at once), Xenoblade and The Liar Princess, with some Road Redemption runs inbetween. Made it through 'Nekopara Vol. 1' yesterday and now I'm on my way through 'Nora to Oujo to Noraneko Heart'. Apart from the over the top humor both visual novels are a good way of keeping up with my Japanese skills (I always keep forgetting some of the more 'rare' Kanji, y'see). 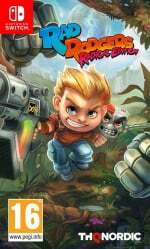 I also spent way too much time with 'Trials Rising' on my Switch - I never thought that I'd enjoy this game but it is absolutely perfect to play on the go in short bursts. Apart from that, I've been successfully trying to complete more tracks on 'Beat Saber' in expert mode and finished 'Moss' on my PSVR. Switch like most of Jan/Feb sitting this weekend out. Legend of Zelda Breath of the Wild Switch and Mother 3/Earthbound 2 PC. Metroid Prime 3 Corruption (have the trilogy on Wii). It's an awesome game, a bit different to the first two but still awesome. So happy to see all the love for Xenoblade here! I’m currently playing through the first game for the first time on Wii U. 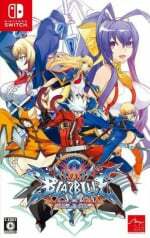 Besides that I’ve been playing Blazblue Central Fiction and Captain Toad as well as working on my own game some more. Considering getting Sword and Soldiers 2 as the first one was great. Well i have to finish Resident Evil 2 Remake(PC) and Tales of Zestiria(PS4), on the Switch most likely Raid Mode of RE Revelations 2 or Monster Hunter. Also if Friends have time i will squeeze BO4, BFV and/or Grim Dawn into it. Final Fantasy IX all the way. It's funny. I got the game for Android over a year ago and couldn't get into it. For me, the platform really makes a difference. Maybe I'm just old school, but finally being able to play this on a Nintendo console really added to the experience. 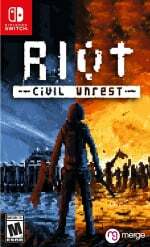 Great game for handheld. I recently started up undertale so I'm hoping to finish it. I managed to not play the game at all in the 3 years it's been out. Now that the hype has died down I'm interested in playing through it with a fresh perspective. 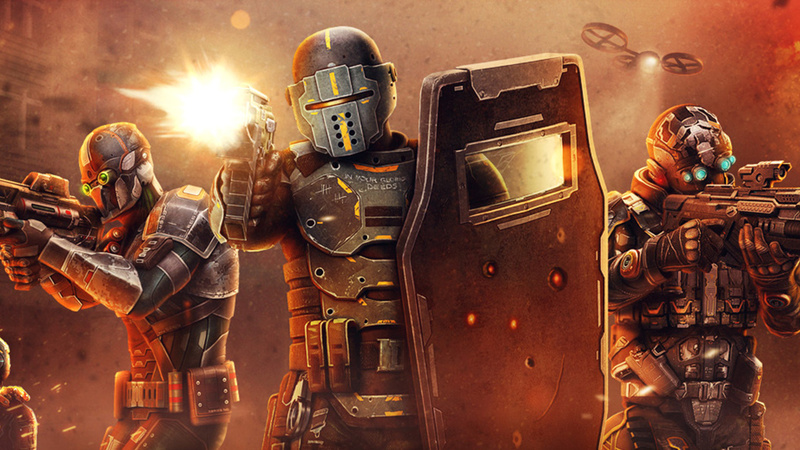 Just FYI- to my twin-stick shooter peeps, Riddled Corpses EX is AMAZING. Been playing all day and it might be right up there with NeuroVoider for me. I'll be helping my girlfriend with Let's go eevee, and playing let's go pikachu a bit myself. That pokemon direct and the steel box best buy promotion; really got me in the mood to catch them all. I'm playing Taiko no Tatsujin, Slime-san, Gris, Odallus, KeroBlaster (love this game! ), Wargroove (still badly want Advance Wars new or remake or emulated, but absolutely love Wargroove), Pilot Sports (such a great game even though not as good as Pilotwings! 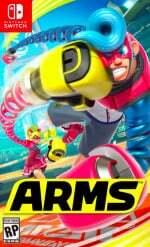 ), Arms, Splatoon 2, Mario Tennis Aces, Ape Out (kind of a perfect videogame), Yooka-Laylee (even though it runs at 30 fps I like playing this on Switch — I wish Nintendo could just lend out the Mario Odyssey engine for games like this and Pokemon shield/sword. Couldn't they just slightly rework things and give us these games with awesome 60fps gameplay in docked and portable mode?! ), Fitness Boxing (I love Nintendo's exercise games! ), Neko Navy, kingdom two crowns (such a beautiful and addictive game! ), Smash Bros, swords and Soldiers 2, etc. I've also already been playing Spades, King on the Corner, Oh Hell, and other card games. With real cards, not videogames! Oh yeah, and Travis Strikes Again (I love how they went with a lower resolution and high framerate — looks beautiful and plays wonderfully!). Not really playing any one thing too heavily. Mostly just finishing off some side objectives and capping off a bunch of games, before the metric crap-ton of summer games hits us. 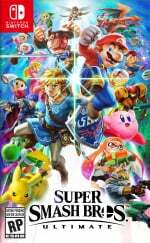 Bouncing between Smash Ultimate and Mario Tennis aces for some online play as well. Super Mario Kart 8 Deluxe, a little bit of Fortnite, a LOT of Tetris99. I can’t quite crack the Top10 and it’s driving me nuts! Browsing the eShop last night and I checked out my Watch List to discover the Bethesda pack on offer for Pinball FX so I snapped that up, really looking forward to checking out the DOOM table! Enjoy your weekend. I 100 percented Mario Odyssey a few months ago and thought back to how I had never completed mario 6... So i purchased it (the DS version) from the wii U eshop. I'm nearly done, though. 129 stars so far. @humbucker I'd say it's worth it (to anyone that missed my original comment, I'm talking about Monster Energy Motorcross 2). The game play was pretty decent in the original last year, but it was a pretty bare bones racer. They fleshed it out for the new one with new modes and I like how each race, rather than being just a race, has a whole week were you can schedule training, promotions to get money and friendly rivalries on outdoor tracks on a farm. This one also has the on-line multiplayer and track editor, both of which left off last years' installment. But one warning, I have yet to find anybody on-line to play against. I'm really liking SSBU! It's alot of fun! Played some Mario Odyssey, getting some post-bowser moons. I've come to terms with the fact that some of them are just too tough for me though! Little bit of Tetris 99 and Enter the Gungeon too. Was going to play some overcooked with the family but it seems that 2 of my joycon are having problems with the sl and sr buttons so can't connect in sideways mode. Looks like a common issue - might have to order a joycon screwdriver and have a go at sorting myself rather than pay the cost to have nintendo fix them, which is apparently not much less than buying new ones. Gah!